Relaxation and comfort. 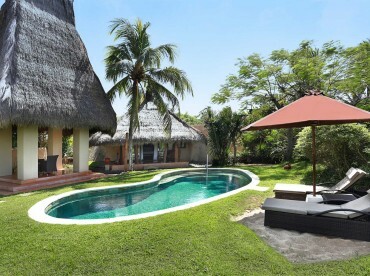 Garden Pool Villas are set within their own garden with spacious lagoon pool. Garden Pool Villas are spacious and mixes modern décor, ergonomic comfort and total relaxation. Rooms are fully appointed including outdoor terrace to ensure memorable holiday. Up to 2 adults and 2 children (children using existing Day bed are complimentary).